We just got home from visiting my parents in (super hot!) Houston. We love being with them, but as the boys get older, it’s harder and harder to say goodbye. Here are ten ways we keep in touch with family members far away! Phone- We talk on the phone pretty often, but our favorite time to call is as soon as we’ve done something fun! On the way home from the park? Call Grandma! She loves hearing about the fun when it’s still fresh. Skype- Seeing each other face-to-face is important. My five year old loves to show his grandparents new toys. We try to make a Skype date every other week! Cards and Letters- You have to do something with all those art projects and pictures, right? Send one to the cousins! They will love them. Blog- We have a family blog where I post pictures and tell what’s going on in our lives. This week I posted pictures of our flooded basement, the first day of first grade, and our trip to the county fair. Anyone can check the site and see what we’re up to. Videos- Videos are great to capture first steps, first words, or even first roller-coaster rides. We post them on the blog or email the video. Facebook- Perfect for keeping lots of family members up to date. I can tell you what’s going on in the lives of cousins I haven’t seen in years. Email- I got my boys email address when they were born. Family members can send them emails for their first day of school, before Awana award night, or for no reason at all. It makes the boys feel so special. Pictures- Lots and lots of pictures! I don’t want my parents to miss the big or small moments. With my camera phone, I can catch a pic anywhere and then send it or post it! Texts- It’s a great quick way just to say hi or let them know how our day is going. Visits- Of course, being together is the most fun of all! We drive to North Carolina and fly to Texas twice a year. 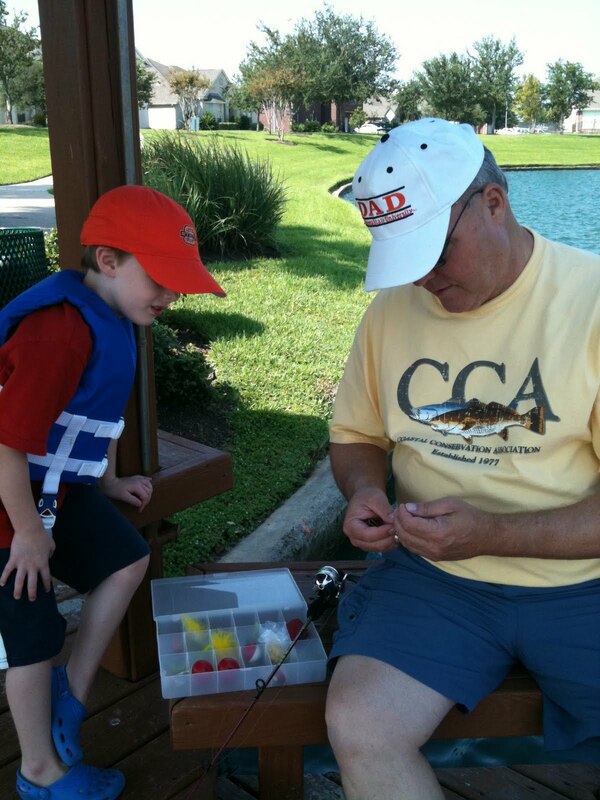 It’s not easy, but it’s worth it to see the boys swimming at the pool with Nana or fishing with Paw-Paw. We are thankful to have them in our lives and don’t take a single visit for granted.